Another week of disrupted fixtures at home, but I don't know what all the fuss was about...lovely in Spain!! ⛳️😎 hope you have managed to keep warm. 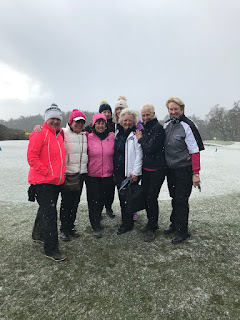 Not a lot happened on Tuesday but a few hardy souls went and played a few holes...the decision was taken then to cancel the Price Vase and in hindsight it would have cancelled itself anyway! Please note in your diary that the Price Vase will now be played alongside our May Stableford competition on Thursday May 17th. Surely by then it will be somewhat warmer! Our Pearson team played away at Sandy Lodge on Monday 26th. 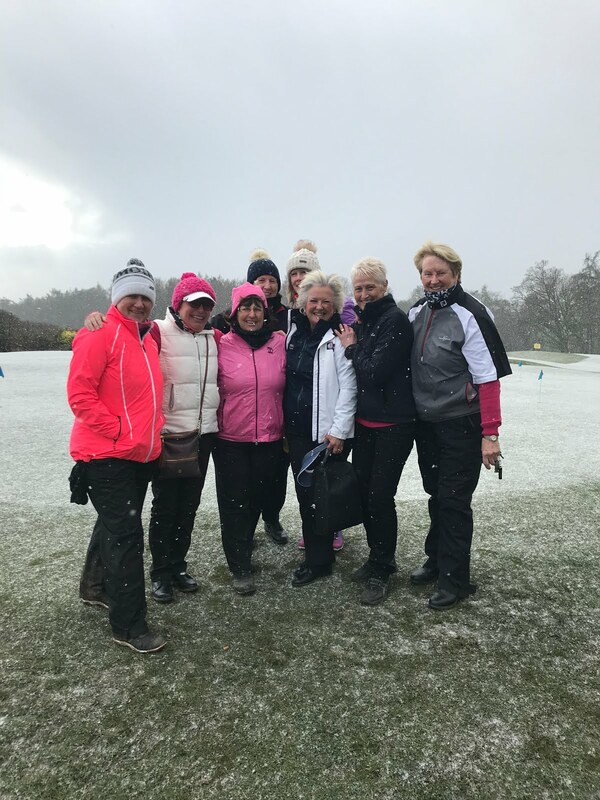 The weather conditions were not ideal and this resulted in the last 2 matches being abandoned because of blizzards. These matches will be replayed on April 4th. Well done girls for turning out and playing on what was a dreadful day. On a more positive note, the sign up sheets will be going up on Monday 5th March for the Summer Knockouts. Full rules for planning your matches will also be on the board. The Ann Grist Trophy is the match play singles KO and the Mary Warmoth is the Pairs KO. Closing date for Entries is Mon 19th March. The draw will be made on Thursday 22nd March. Finally, to help us improve our performances in Medal rounds this season there will be a supply of warm up balls on the range for each of our monthly Medal competitions through the season. Use wisely!! And....Birdies start again this week so don't forget to record them in the book.